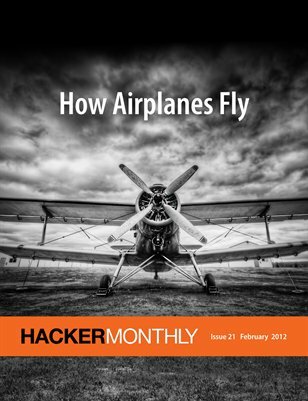 The 21st issue features How Airplane Fly from David Anderson and Scott Eberhardt as the cover story. And, learn The Messy Art of UX Sketching from Peiter Buick in the Design section. Lastly, check out the Programming section about Ruby String, Fountain Codes, Python, Remote Unix Work and what it's like Being a Great Coder.